How can you downsize and be delighted with the change? Here is a low maintenance modern house on a pleasant residential Creston street only steps away from downtown shopping. This home makes downsizing an upbeat experience. Level entry without stairs, plus secondary suite or home based business potential are great bonus features. Plus it's available for immediate possession! Yes, it is possible to mix business with pleasure! How about this home-based business with the pleasure of Creston Valley living every day? Or how about having that dream shop for your own use PLUS a comfy 3 bedroom, 2 bathroom bungalow on a nice Erickson property with gardening, fruit trees, and more? This is a great opportunity to own a substantially renovated 4000 square foot commercial building in the revitalized and desirable Creston downtown core. Featuring multiple tenancies including a large beauty salon, a nails and aesthetics business, and alternative health care providers, this property is ready to use for your own business or operate as an investment with some or all of the existing tenancies. Great Views and Great Neighbourhood! This is an excellent opportunity to stake your claim and own this fully serviced .22 acre south-facing view lot in the desirable Hawkview subdivision. Get ready to enjoy great valley and mountain views from this sloping lot. Close walking distance to all Creston shopping and amenities. Sharply priced well below assessed value. Don't wait - bring your dream home plans and take advantage of this great buy before it's too late! As you may have noticed the Creston Valley and East Shore Kootenay Lake residential housing options are diverse. The desirability of the different locations change according to the needs of those moving to the area. Presently there are new retirees moving here who are putting a demand on in town housing. We have also experienced a few younger families moving to Creston and to surrounding farms. When the national economy is doing well there is a greater demand for recreational property on the lake and hobby farms. Generally speaking real estate prices remain fairly stable through different national economic climates with few dips or peaks, nothing like Calgary real estate market experiences. Housing inventory on the market here for sale is low compared to the provincial average. This makes homes here more affordably priced compared to the rest of the province. The primary type of home found in Creston is single family resident which is considered small to average in size by Canadian standards. These homes are in highest demand. Their smaller size and price point is most attractive to retirees. The architectural style of the local heritage homes is primarily from the Art Deco era. Other architectural styles include: Log Homes, Timber Frame, Modern, Conventional. Presently there is a very low rental vacancy rate. Renters are advised to begin their search for rental accommodations early. Rental investors may find this an opportune time to purchase rental housing. Small to average size of houses mostly in established neighbourhoods. If you are looking to move to BC or within BC you will want to consider how the new rules being introduced March 15th 2018 by the Office of the Superintendent of Real Estate (OSRE) will affect your shopping for property experience (such as the need for additional scheduling, more relaying of information, and the need to change your Realtor for different viewings). Update: Decision has been delayed to June 15, 2018. "Things have jumped into high gear with an early start in February March for Creston Valley real estate marketplace. The East Shore has been a bit slower due to our extended winter and wet early spring, but with low prices relative to other lakes in the province, these should also benefit from buyers' new-found enthusiasm. 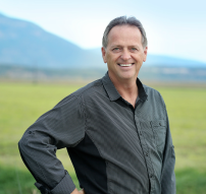 The interest in the Creston Valley has been a leap forward from the past couple of years. Buyers have apparently found our secret hideaway ... Sales prices over the past couple of years have been steady with some modest increases in 2016 and 2017... According to recent MLS stats, the supply of husing in terms of months of inventory within the Town of Creston have dropper by more than half... Sales to date are up about 10% in numbers and sale prices are getting closer to list prices. Please find more testimonials below. Helping to make your dream a realty. For those of us who are fortunate to live in what we refer to as “Shangri La”, there is a desire to share this experience. Surprisingly, it is also a very affordable choice. Of course, the best way to personally know what the locals know is to become one. 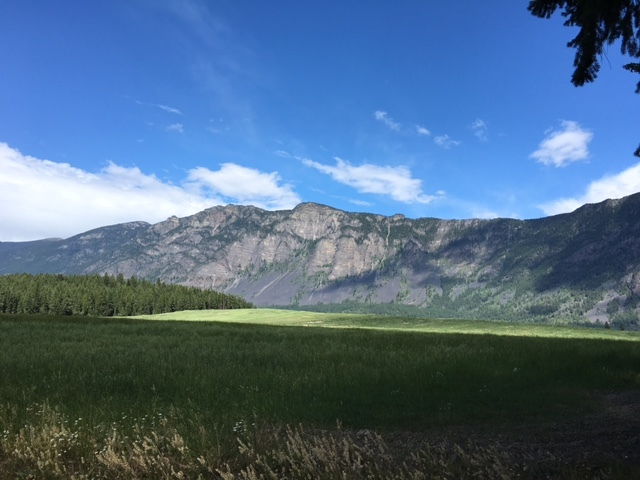 Most people who are ready and able to make the move to our area are: retirees, families who bring their own work/business with them, telecommuters who work from home, or they could also be people who are mobile workers and the Creston Valley can be their home base. These are but a few insights that an informed caring Realtor can help you learn about and determine if they present a problem for your enjoyment and usage of your future property. For more detail on this subject read Things to Consider category in our blog. Carol and I would like to express our sincere appreciation for your wonderful service in helping with the sale of our lake home and for the finding of our new home. We found you as a person of integrity and with a great knowledge of the market. You were honest and transparent, carefully explaining the pros and cons of the options we considered. You were patient with us when we had concerns and were caring and prompt in finding answers. You kept on top of things with dispatch, were a caring listener, committed and hard working. I short, we were so pleased and satisfied with the way we were treated and would highly recommend you (five stars) to our friends and acquaintances. My daughter and I wish to thank you for all your help in getting our house sold. I always think about how, in our first meetings, you were so assiduous at learning what I considered most important. From that point on, you were tirelessly fighting to get me what I wanted. For me, selling the place quickly was more important than getting a higher price. You told me where I needed to range my asking price if I wanted to move it in 100 days, or less, and that’s just what happened. There were a lot of hurdles once you found me a buyer, but you managed to find a sufficiently motivated purchaser in the first week of the listing! That kind of thing rarely happens in this valley. Perhaps my priority was the less difficult one. 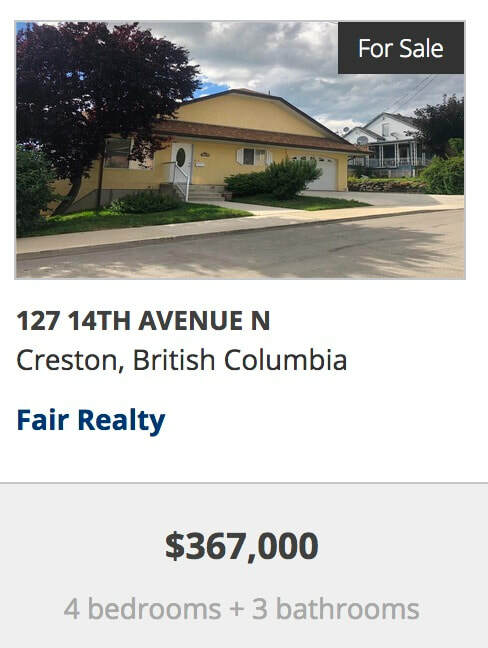 Maybe it’s more of a challenge to find people willing to pay BC house prices in the Creston Valley but I’m certain that, even if I had tasked you with getting the optimum price in a year or two on the market, you would have found a way to achieve that too. It has been a joy dealing with you and we’re impressed by the work that you do. Lee Johnson, you made this long and arduous deal gratifying . Thank you. I find it unsettling when someone says they don't want to use a real estate agent for their property deal. It makes me nervous about the bind-ability of the contract and the potential issues with the steps prior to signing title transfer and delivering payment. I have a working knowledge of contract law but no expertise in property law and especially the intricacies in estate transfers. I bought a house directly from the executrix of an estate who did not want to use a real estate agent. Lee verified the market value of the property and helped me consider all my needs and wants, confirming that this property was right for me. Lee Johnson ended up completing all the purchase documents and the many extensions over 4 months until probate was complete. He is extremely practical, knowledgeable and really cares about his client's needs. With his extensive knowledge in property insurance as a former brokerage owner, he understands risk and reward, commercial and residential values and the importance of the details in all the contracts. He made sure that both parties met every deadline over the 4 months. He responded to texts and emails promptly and with diligence. Plus, he's fun to work with. Always keeping things real and light-hearted. I am so grateful for your personal and professional support through this process. When Susan and I were looking for a property we contacted Lee Johnson of Creston Valley Realty, who was recommended by a close friend. Lee showed us a property we saw online and presented us with all the information on the property and comparables. He was personable, knowledgeable, answered all our questions in a professional manner, and was able to help us understand what the area was like. As it turned out the property was not what we were looking for. However after listening carefully to our needs, Lee was able to match us up with a property that was perfect for us, with the right location and the right deal. I would highly recommend Lee Johnson to anyone looking for real estate. Thanks Lee. Everything was fantastic. We appreciate the savings and the ease of the sale. You did a great job for us and my uncle’s choice to have you handle the sale of our moms house was perfect.